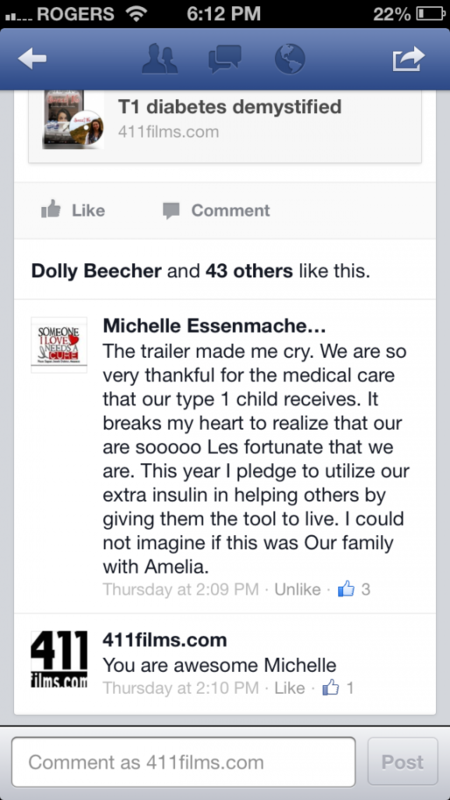 Do you know someone with Type 1 diabetes? 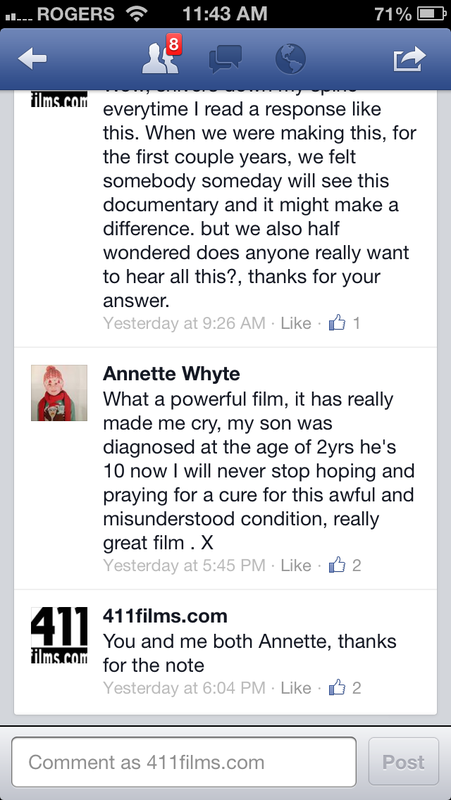 This film is your chance to hear what they will never tell you. Find out for yourself just what goes on inside the mind of the average young person who has T1d. Hi My name is Dan Shannon, I am the director of this documentary. 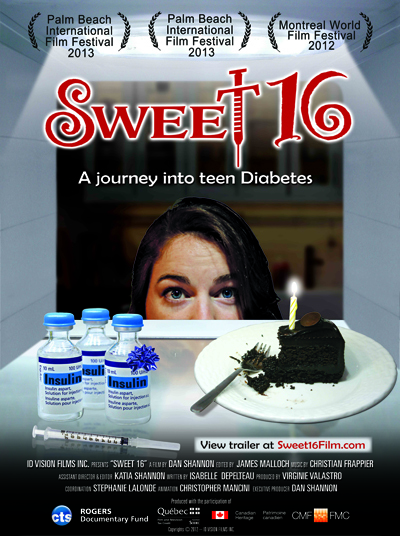 Not so long ago my daughter was diagnosed with T1D just before her 16th birthday, and for the next 5 years, I followed her…this is her story. This is not your typical lab coat medical film: Part road movie, part coming-of-age story, shot in Canada, USA, and Ecuador, it may just change the way you view the issue of diabetes. More importantly, if you know someone dealing with this, you may be in a position to really help them. I have learned one thing making this film, people with T1D feel isolated and don’t talk easily. We have screened it in festivals, in hospitals and in small group settings the result is always the same: young people feel all of a sudden their reality is vindicated, what they are going though, others are too. 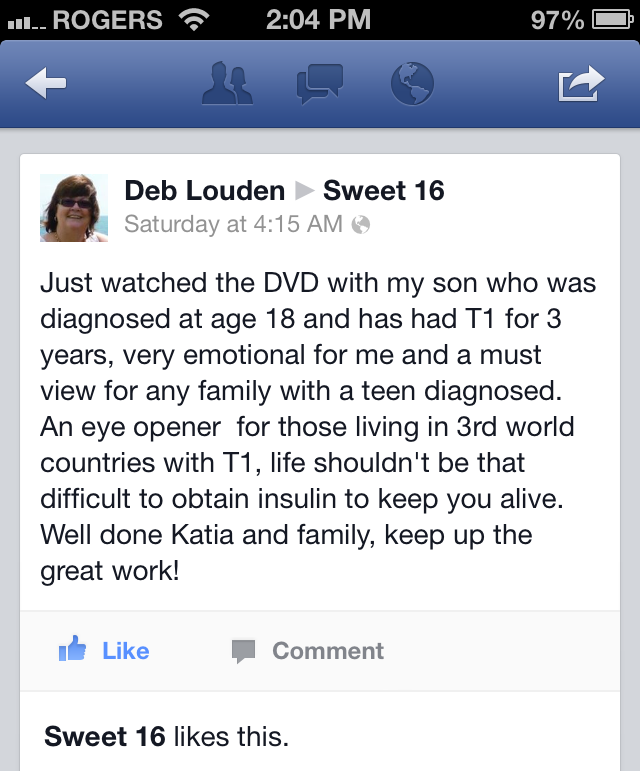 It is a great tool for parents with T1D kids, to tackle some tough issues they may be facing with their teens. Our DVDs ship worldwide from our fulfillment center in the USA. Allow 5-14 days in Canada, and 10-20 days for international orders. Our Guarantee: If for any reason you are not satisfied with your order, we offer a full money back guarantee for items returned to us, no questions asked for a full 60 days. Even if you just don’t like the film! Just ship it back to us and we will happily refund it, INCLUDING SHIPPING!